Marvel Studios are treating Captain Marvel as a special project for them in the same way that they saw Black Panther as special, as both films celebrate inclusiveness and providing role models for children of different backgrounds. So a new TV spot with a feminist angle, along with a clip where Brie Larson talks about how excited she is to play Captain Marvel, are both warranted at this point. Firstly, a new TV spot (which aired last night during the Grammy Awards) pretty clearly wears its female empowerment message on its sleeve, as the clip shows Carol Danvers being told repeatedly that she’s not capable because she’s a woman. Captain Marvel herself pretty clearly states that she’s tired of being told what she can and can’t do, and it almost feels like a rebuttal of claims that a female-led superhero movie can’t succeed. Secondly, Marvel released a featurette showing how much taking on the role of Captain Marvel means to Brie Larson, and that playing the character is an emotional and meaningful experience for her as an actress, ending the minute-long video with a comment explaining that she is the most dynamic character that she’s ever played. Marvel are pushing to put Captain Marvel as the face of their franchise from this point on, as much of the old guard is set to retire with Avengers: Endgame and the character has a prominent role there. 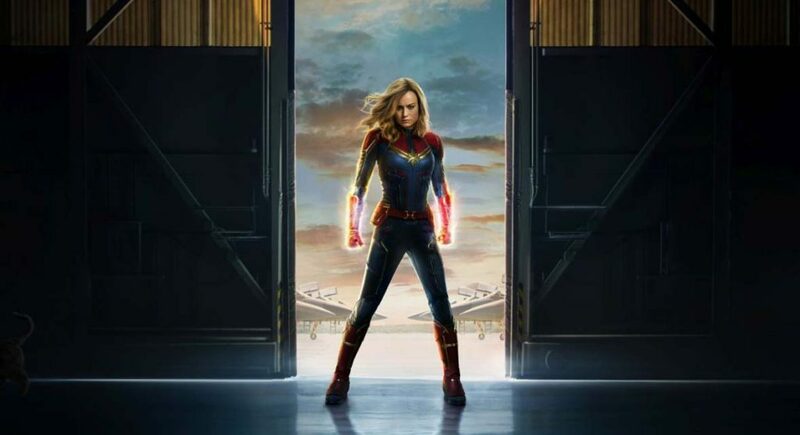 Tracking for the character’s standalone movie shows that it’s got the potential to be one of Marvel’s stronger performers, and with the cosmic portion of the Marvel setting left wide open to explore, Carol Danvers could be the bridge that regularly connects the Earth to stories set far away from the pale blue dot that the Avengers happen to live on.